Earlier this week, Nintendo finally revealed their plans for their online subscription service. Dubbed "Nintendo Switch Online," this service will be required when it launches in September in order to enjoy online co-op with friends for current titles, like Splatoon 2, and future ones as well. Other than the official name, that's nothing particularly new. What is new is that getting that subscription will also give you access to a library of classic NES titles that will include online capabilities for those that support multiplayer. Initially, the "NES - Nintendo Switch Online" library will only include 10 titles (none of which are co-op), but another 10 titles will be added before the system goes live in September. A handful of these titles feature some kind of "2 Player" mode, meaning you'll be able to play online with a friend now, but even those that are single-player only will still let you share the NES memories with a buddy. Similar to PlayStation's "Share Play" feature, you'll be able to invite friends to watch you playing, and then can "pass the controller" to them so they can get in on the action. This is a surprisingly forward thinking move on Nintendo's part, and a really smart one, too. Here's hoping that catalogue of games expands to include SNES, Game Boy, and other Nintendo consoles, too, as the Virtual Console will not be coming to the Switch. For every good piece of news from Nintendo, there's usually a flip side. Many folks have been asking for some way to backup their save data should something happen to their Switch, and Nintendo has responded by implementing a cloud save feature. That's a great solution, but the catch is that you'll only be able to access that feature if you get a subscription. Thus, if you don't pay the $19.99 a year for the service, you still won't have any backup option. Bummer. Nintendo Entertainment System – Nintendo Switch Online: a compilation of classic NES titles that will be available to subscribers for the length of their subscription. 20 games will be included when the service launches with more titles added a later date. Games that have some form of local co-op or multiplayer option will now also have an online option, and all games will allow a user to share the gameplay with a friend and then "pass the controller" to them. 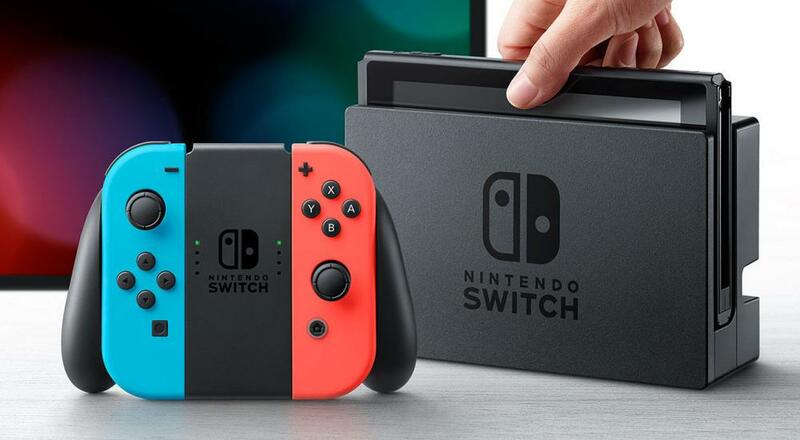 Save Data Cloud Backup: users will be able to backup save data for "most Nintendo Switch games." Online Play: from the official press release "a Nintendo Switch Online membership will be needed to participate in co-op and competitive online features for many current and upcoming Nintendo Switch games." The plan will be available in a few different pricing options. You can check it out for one month for $3.99, three months for $7.99, or 12 months for $19.99. There's also a Family Membership option for $34.99 for 12 months that allows up to eight different Nintendo Accounts to all enjoy the service, even across different Switch systems. Additional information can be found on Nintendo's official website. Page created in 0.5280 seconds.